JAY W. BENNETT The Marietta Times The Williamstown girls cross country team placed second at Saturday’s 19th annual Elizabeth S. Broughton Memorial Invitational in Marietta. 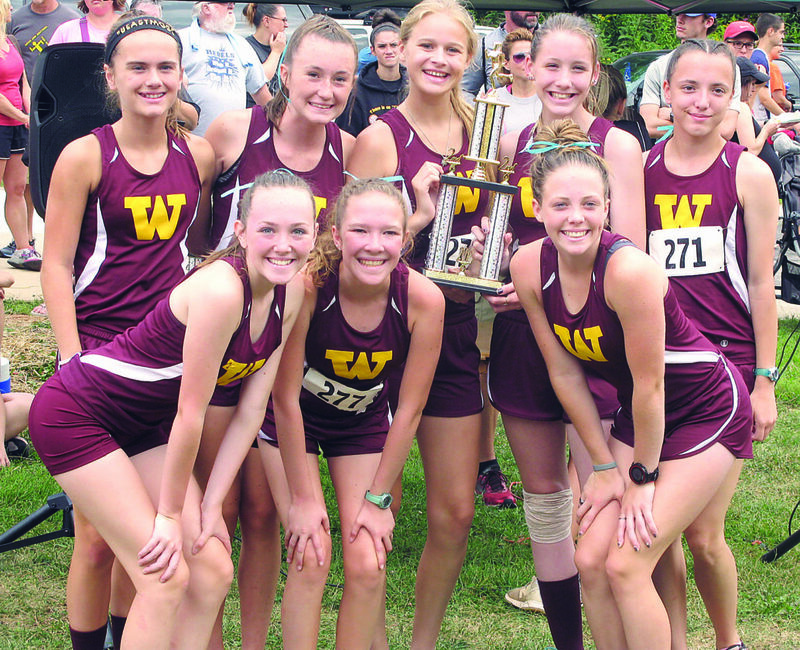 Williamstown sophomore Ella Hesson successfully defended her cross country title here Saturday morning at the 19th annual Elizabeth S. Broughton Memorial and the Ritchie County boys claimed top team honors, thanks to a solid finishing pack for head coach Holli Vaughan. Hesson, who set the course record in 2017 with a time of 19:56, bested that effort by 5 seconds as the defending Class A state champions of head man Larry Cassady had to settle for a runner-up team finish behind Lancaster, which won 42-63. 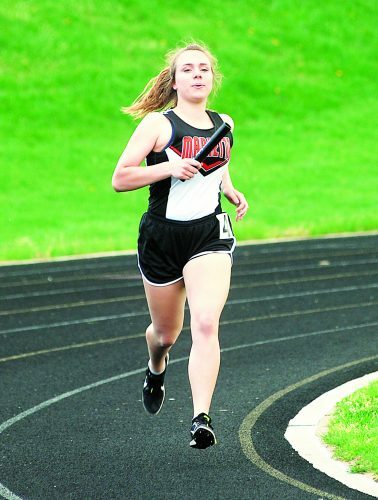 After Shadyside senior standout Chase Stewart established a new course record with a victorious time of 16 minutes and 39 seconds to top runner-up Trent Sayre of Warren, Belpre’s Eli Fullerton and defending champ Justin Anderson of Fort Frye, the girls race got underway. Shortly following the gun to get the race going, the girls all had to make their way back to the start line as a few runners at the end got tangled up and fell down. JAY W. BENNETT The Marietta Times Warren’s Trent Sayre, left, placed second on the boys side, while Belpre’s Jake Plummer was seventh. The Yellowjackets placed three other runners in the top 20 — freshman Natalie Sawin (fifth), sophomore Emilee Ellison (16th) and ninth-grader Chloe Lightfritz (20th) — while 10th-grader Stella Flanagin crossed in 23rd to account for WHS’ fifth scorer. Sayre finished in 16:55 in his final Broughton race, while the sophomore Fullerton clocked in at 17:14 with Anderson following 6 ticks behind. 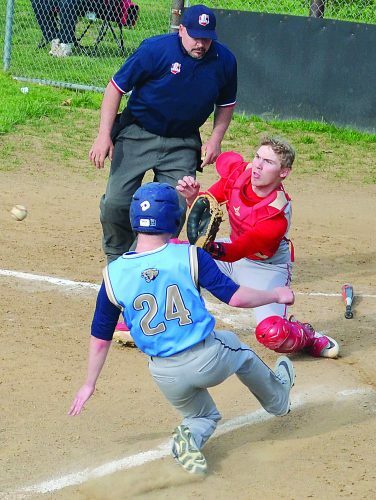 “Chase Stewart, he’s a great athlete,” said Sayre, who helped his team finish fourth with 101 points as Bridgeport (56) took runner-up honors behind the Rebels (53) with Belpre (99) placing third as a team. “I raced him (last year) at OVAC and I ended up beating him at OVAC (second to fourth). He had more of a gun that I did. He was loaded. Fullerton, who finished fifth a year ago, set the pace early, which is something Sayre said he and Stewart wanted to happen. “I went out a little quick and of course, there’s always good competition,” admitted the Golden Eagle. “I maybe went out a little too quick and died off at the end, but I got it back and had a good finish. As too was coach Vaughan, who watched her top five all finish inside the top 15. Leading the way was junior Kent Bee in 10th. Senior Jarett Allender was 11th and then 10th-graders Isaac Slater and Brady Layman followed in 13th and 14th place while 12th-grader Clayton Bee was 15th. 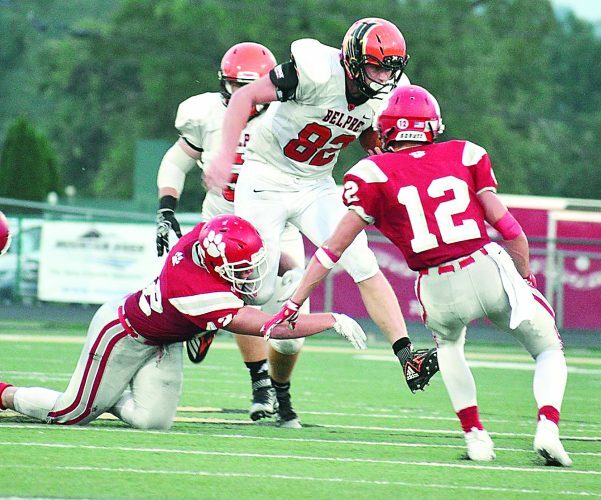 “We were second last week at the Autumn Classic to Fairmont Senior,” Vaughan said. “We have strength in numbers, so at practice they come in one right after the other. Caldwell’s Mason Ackley placed sixth, Belpre’s Jackson Plummer was seventh and Eastern’s Colton Reynolds was ninth. 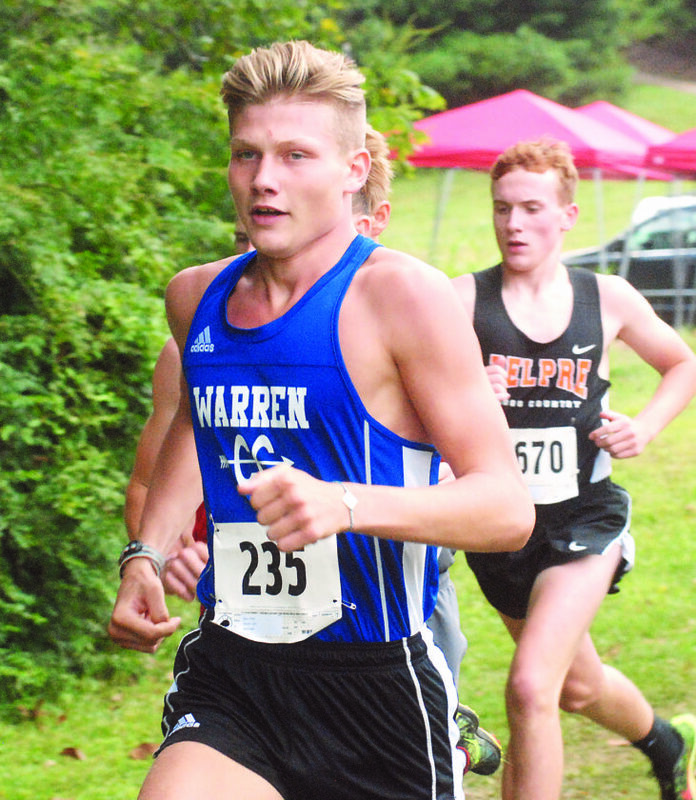 Also cracking the top 20 from the area and earning plaques were Caldwell’s Marshal Niswonger (17th), Warren’s Brennan Perdue (19th) and Marietta’s Wyatt Miracle (20th). Coach Cassady was more than pleased with the effort from his squad, which won the Autumn Classic a week ago Saturday. Lancaster’s Elise Johnson finished runner-up to Hesson. 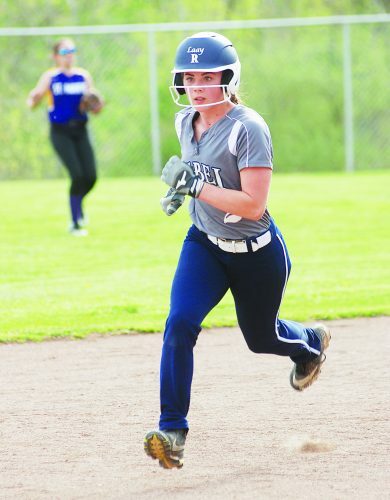 Ritchie County senior Gwyn Napier had a strong ninth-place showing, while freshman Rebel teammate Olivia Cress placed 10th. Other area top 20 efforts included Eastern’s Rhiannon Morris (12th), Warren’s Casey Brague (13th), Caldwell’s Chloe McAuley (14th) and Lauren Fry (19th) as well as Waterford freshman Kaylor Offenberger (17th). Just missing out on top 20 accolades were Magnolia’s Karina Patel (22nd), Ritchie County’s Adam Davis (23rd), Warren’s Bryson Angelo (24th) and Marietta’s Ciara Space (25th).